Beautifully illustrated by Caldecott Honor-winning artist Diane Goode, Founding Mothers: Remembering the Ladies reveals the incredible accomplishments of the women who orchestrated the American Revolution behind the scenes. 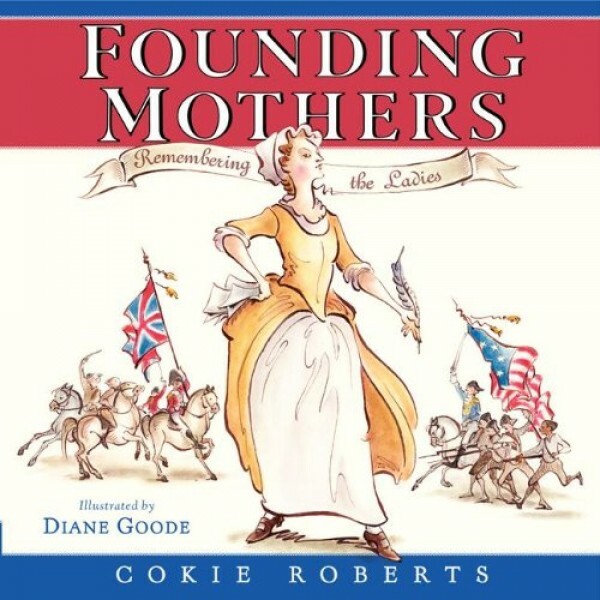 Roberts traces the stories of heroic, patriotic women such as Abigail Adams, Martha Washington, Phillis Wheatley, Mercy Otis Warren, Sarah Livingston Jay, and others with details gleaned from their letters, private journals, lists, and ledgers. The bravery of these women's courageous acts contributed to the founding of America and spurred the founding fathers to make this a country that "remembered the ladies." To discover more books about girls and women of the Revolutionary Period, visit our post on Remember the Ladies -- A Mighty Girl Celebrates the Fourth of July.